“Life is what happens to you while you’re busy making other plans,” they say. And it’s true. You know, the way you fall in love with the barista at the coffeeshop you plan to take all your first dates to, or the way your kids grow up when you’re planning out how to spend more time with them. Or maybe like the very real-life, student loan debt you rack up while you’re planning your successful, college-educated future. Earning a degree is supposed to make the sky the limit for you, not for accumulating fees and interest. There are 44.2 million Americans living with student debt, owing a collective $1.4 trillion. Close to 25% of borrowers are either in default or at least 90 days delinquent on payments. It affects many lives and the economy in very real ways, and, of course, greatly contributes to post-graduation job decisions (some companies are even using loan assistance to recruit talent). Although the total annual student debt just had its smallest percentage of increase since 2013, a report on federal student loans revealed a double-digit rise in defaults. Student loans have been robbing college graduates of a fair stab at ‘the American Dream’ for years. And it seems like they’re going to keep reaching for the stars. So just exactly why is student debt skyrocketing at such a crazy rate in 2017? Making plans for the future can be a complicated and involved process (especially if you throw in a kid or two, a new car, or a house mortgage), but when the government has a hand in the planning, it’s a whole new can of worms. Mandated tuition freezes and education budget cuts (sometimes over 25% over the past decade), continue to be handed down to schools from legislatures. But the money has to come from somewhere. (Does anyone know where all the money trees grow?) So with tuition payments unable to cover costs, many colleges are using fees to fill in budget shortfalls and subsidize expenses. Obama tried answering a plea for more affordable student loan payments by creating the Federal Family Education Loan (FFEL) Program. 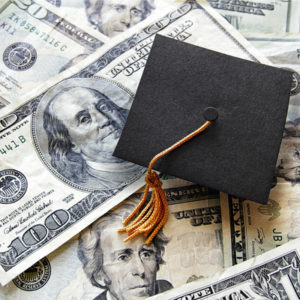 The efforts were able to effectively “forbid the [loan] agencies from charging fees for up to 16 percent of the principal and accrued interest owed on the loans, if the borrower entered the government’s loan rehabilitation program within 60 days of default.” Now, President Donald Trump has removed protections from the high fees that student debt collectors are charging borrowers in default. So, why is student debt skyrocketing? It’s a snowball effect of financial burden and hidden fees – and it started rolling from the top of Capital Hill. Because of this recent directive issued by the Dept of Education and the cutbacks from the Trump Administration, student loan companies may now have more opportunities to charge fees to borrowers in default. 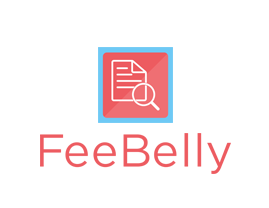 And aside from default fees, standard mandatory and supplemental fess are nickle-and-dime-ing borrowers. There is a clear trend of mandatory fees getting worse even quicker than tuition. Why? One argument is that schools want to make sure students with full-tuition scholarships still contribute to the financial burden. Some students just don’t read the fine print of their documents and don’t understand that scholarships might only cover the basic tuition. Financial aid often covers mandatory fees, but can exclude course fees and other supplemental fees. Supplemental fees are usually disclosed, but can often be buried on the college’s website. For instances like this, a contract review app can help to avoid paying hidden costs. Without reviewing the fine print, students think they’re moving towards their goals just fine, making payments, and then it happens. Whap! The unexpected slap of a bunch of fees. These fees can include a campus academic fee, university union fee, instructional activity fee, success fees and origination fees. Imagine, a total of around $1.5 billion per year paid by unsuspecting borrowers in administrative fees alone. The Consumer Financial Protection Bureau will continue making moves to protect and aid student loan borrowers (as long as it’s still around and functioning, that is). They have also sued several for-profit colleges for predatory lending practices, but their actions can’t be all retro-active. There needs to be more widespread preventative support for the issue of collective student debt in the US. Dreaming of all of the ways that you will benefit from a college education is easy. Determining how Americans will handle skyrocketing student debt is a little trickier.